Andrew Wright’s passion for design and the built environment has led to a forty-year commitment to architecture. As the principal of Starboard Architects, he develops solutions to unique design challenges and fulfilling his life-long enthusiasm for an architectural vision. Andrew focuses on assisting institutional, not-for-profit and public agency clients to solve their immediate needs and realize long-term goals. He graduated with a liberal arts degree from Case Western Reserve University and subsequently worked for a Boston participatory community arts program, building adventure playgrounds and painting wall murals. After earning an architectural degree from Rice University, he worked at Ricardo Bofill’s El Taller de Arquitectura in Barcelona. Upon his return to the United States, he worked in the offices of Walker Cain and SOM before joining Tonetti Associates Architects where he was Design Principal. 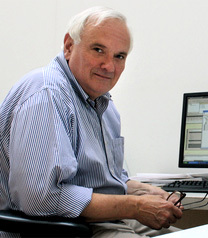 Upon the retirement of Joseph Tonetti the firm became Starboard Architects to reflect new chapter in a proud tradition. Andrew is a LEED accredited professional and an active member of the Association of Preservation Technology and the American Institute of Architects. He has presented seminars and papers to the Mid Atlantic Museum Association, the Museum Association of New York and to the Friends of French Architecture, among others.